Turn Website Visitors into Customers - Hire CubeClix®! Are you answering the needs of each website visitor? In the brick-and-mortar world, the goal is to get the customer in the door. In the world of the internet, the goal is to start the conversation. Our approach to lead generation is to offer prospective customers multiple avenues so they can initiate that discussion in a way that is comfortable for them and generates effective points of contact for your business. We accomplish this by using contact forms, chat room technology, newsletters and more to create the underpinnings of relationships that benefits both your business and your customers. The wrong leads can easily become a time-wasting endeavor for your sales team. 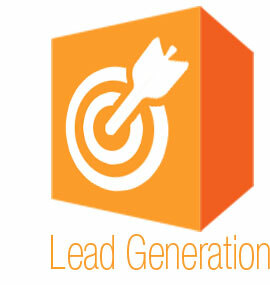 Since the goal of our lead generation services is to save you time rather than waste it, our approach focuses on making sure the leads we generate are the right ones for your business. We combine eye-catching graphics with compelling language that emphasizes what each prospect has to gain by starting the conversation. More information? A free quote? Access to whitepapers and extended resources? By utilizing multiple avenues to initiate contact, we actively engage your website’s visitors, encouraging them to open a discussion and begin building a relationship that will result in lasting success.